With Google’s developer conference right around the corner, the search giant wants you to know that its digital assistant is quite proficient at controlling the smart home. The Google Assistant built into your Android phone and your Google Home smart speaker can now control more than 5,000 smart devices. Google announced the impressive number Thursday morning, noting also that it’s an increase from 1,500 compatible devices this January. Tripling its smart home partners in a few months is quite the feat, especially since Google Assistant has been building up to that first number since the fall of 2016 when it launched. According to Google, that number includes every major device brand. Google Assistant is the search giant’s virtual, voice-powered assistant similar to Amazon’sAlexa and Apple’s Siri. You can issue a voice command to any device with Google Assistant built in — such as your Google Pixel smartphone or your Google Home — and search the web, check your calendar, play music or control your smart home. For instance, with a voice command to your Google Home, you can say “OK Google, set the temperature to 68 degrees” and Google can automatically change the temp of the Nest Learning Thermostat. Voice assistants make controlling the smart home easier. Instead of tangling with multiple apps to control devices from different companies, you can just talk to your smart speaker and do it all. That’s part of why we loved the Amazon Echo smart speaker when it first rolled out in 2014. Undoubtedly, Google’s aggressively expanding its smart home portfolio to catch up to Amazon in the field. Amazon’s Alexa powers the Amazon Echo much the same way Google Assistant powers Google Home, and the company’s digital assistants have gone back and forth in a battle to have the most and best features since Google entered the smart speaker race in 2016. Right now the battle is close, but Amazon still works with more smart home gadgets. Blake Kozak, a market analyst for IHS Markit, estimates that Amazon Alexa worked with roughly 11,200 unique smart home devices in 2017. An Amazon representative put their company’s number at 12,000 currently. So Google has some catching up to do, but if it can keep expanding its catalogue at this rate, it might not be behind for long. 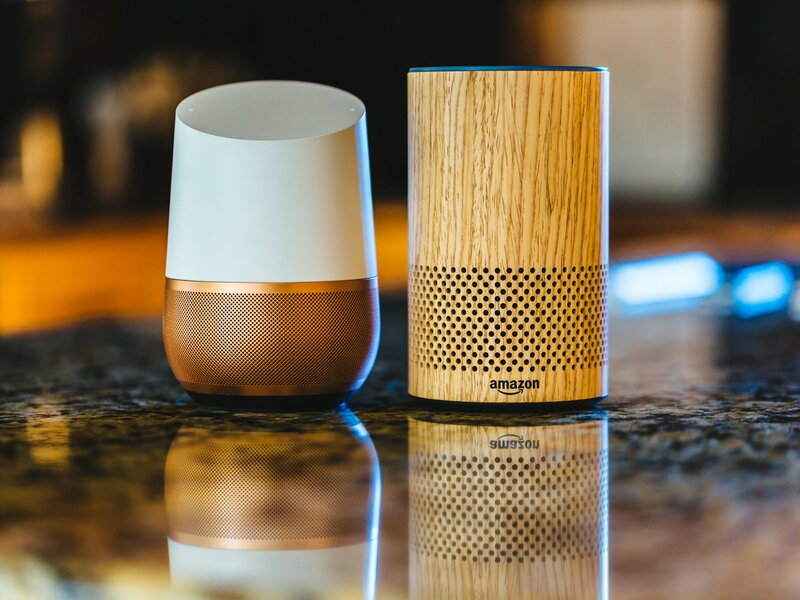 In addition to announcing 5,000 smart home partners, Google touted a few new brands that will soon work with Google Assistant, though most had been announced previously. The voice controlled functionality for these brands will start rolling out this month. You’ll be able to control your TV with Google Assistant through Dish’s set top box the Hopper and Logitech Harmony remotes. Google Assistant could already control your TV with Chromecast streamers, Android TV and more limited Logitech compatibility. Here’s our guide to picking out the best smart speaker for you, and here’s a quiz to help you figure out which major voice assistant fits you best.